Mourners gather at Nairobi’s Uhuru Park to remember victims of the massacre at Garissa University in Kenya. 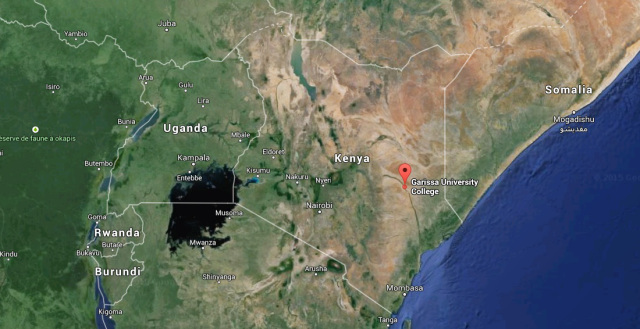 Faith Karimi of CNN is reporting the Kenyan government has frozen dozens of accounts linked to suspected terror supporters after militants massacred 147 people last week at a university in Garissa. “The government is tracking the finances of people suspected of ties to Al-Shabaab, the militant group that claimed responsibility for the Thursday attack. So far, the government has frozen 86 accounts, but that number could go up, said Mwenda Njoka, a spokesman for the Interior Ministry. 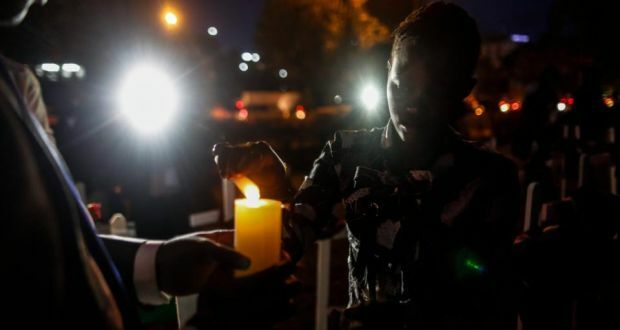 Hundreds gathered Tuesday night at Nairobi’s Uhuru Park to mourn the victims of the deadly attack. Organizers unloaded 147 crosses, some draped with the nation’s flag, as candles flickered in the dark. Of the fatalities, 142 were students at the university, and the other nine victims were members of security forces and campus security.